Millennials are clueless of who has more money than Daddy Warbucks. Everything liberals know about Republicans and Democrats they learned from Little Orphan Annie. This is the kind of ignorance that is rife among the Left, and high IQs do not make any difference when people are uneducated. Worse still are those who are educated yet they believe proven fabrications like global warming and the Republican war on women’s contraception to be true. Intelligence Quotient is the measurement of what some say indicates a person’s intelligence. There are various measures of intelligence; how well you can calculate, cogitate, reason, and deduce, or how vast a databank of knowledge you have acquired. But measuring IQ only by the first method is like measuring the CPU of a computer – it can think fast but without the second method, the databank of knowledge contained in the hard drive, a computer is useless. In humans, however, there is also another measure of their emotional stability and maturity to accept facts. It is this last that takes into account the human capacity to believe, to have faith in that which cannot be quantified, qualified, or verified. Also in their ability to be fooled by others and even by themselves to believe facts that are wrong, inaccurate, and downright fraudulent. As a member of MENSA whose entire family is qualified to be members, I can attest that it doesn’t matter how smart you are or how much you know, but what you believe that is the measure of true intelligence. Despite everyone in my family having IQs ranging from 130-160, about half of them believe in liberalism. 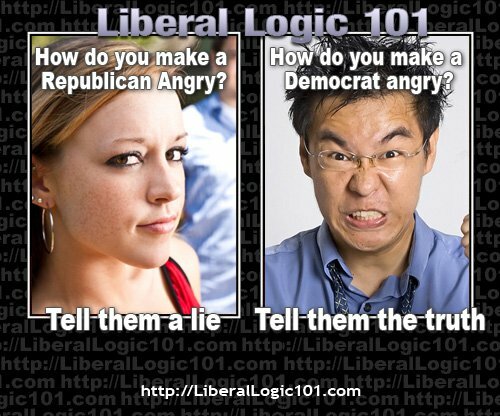 They believe that Republicans are the 1% who steal from the poor, that Democrats are for the little guy, that socialism is good, that climate change is affected by man, that Islam is a religion of peace, that liberalism can save humanity, and that FOX News and conservatives like Rush Limbaugh lie. The truth is that if you’re not watching FOX then you don’t know half of what is going on and half of what you do know is probably false. The truth is that if you believe liberal studies that say conservatives don’t believe in science and that they are the ignorant ones you are a dupe. Liberalism is born of ignorance and bred on immorality, and feeding the liberal ego that sees the world through a myopic lens is how the powers that be use propaganda to herd the masses like lemmings. I have a relative who believes in everything that I believe that is called conservative morality. He believes you must work for your supper and not get a free ride on someone else’s back. Yet he thinks of himself as a liberal socialist and votes for liberal socialists who all believe that there are people who deserve that free ride. If you made a check list of conservative vs. liberal values he could possibly rack up a higher score than me in the conservative column – but he votes for everything that he is against and then wonders why the country is going to hell. Arguing with a liberal who disbelieves not only the facts but his own thinking is impossible. For example; Texas has been carrying the national economy. If you took Texas out of the equation, the U.S. has been in a recession the last six years. Gov. Rick Perry is running for president based on this fact. Yet my relative thinks Texas is a poor state run by hicks and that California, wallowing in debt and deficits to rival the federal government, is booming. Need further proof? Secretary of State John Kerry just came back from making a deal with Iran where he was supposed to stop them from building a nuclear weapon or their economy would be destroyed. He conceded everything to them and got nothing in return and Obama is hailing it as a great achievement of his presidency. The fact is that no one else could have achieved such a colossal defeat! Obama went so far as to have it ratified by the UN rather than Congress. Defending this, Kerry told Congress that if they reneged on the deal that the “we would lose the trust of the Iranians” as if that matters? That last is the best example of listening to the heart instead of the head. Acting without understanding the consequences is not the act of the brave, but the action of the fool, which explains the Darwin Award. A courageous heart is best when tempered by intelligent fear. And that is why ignorantly electing Democrats based on what they say, without paying attention to what they do, is what has resulted in America’s economy waning, and our enemies waxing, while Republicans are being used as scapegoats. America is in decline and every intelligent person knows it. But a Democracy gives the vote to anyone and our current situation is proof that even brilliant people can do stupid things. And if brilliant people can do stupid things, what hope is there for those who are not so bright? This is why stupid people shouldn’t vote. This entry was posted in Climate Change, Congress, Conservatism vs. Liberalism, Economy, Election 2016, Right vs. Left and tagged Charlatans, Climate change, Conservatives, Democrats, Faith, Fraud, Genius, Global Warming, Intelligence, IQ, Liars, Liberals, MENSA, Moderates, Moral Majority, Morality, Obama pathological liar, Psychology, Republicans, Scams, Science, Shysters. Bookmark the permalink. LOL! Nice try . . . but a fail nonetheless. Entertaining read, though. Now, about that drink . . . no, I don’t want to up-size for the same price. Just give me what comes with the meal. Thanks. Just because you call this assessment a failure does not make it so. Opinion’s are like a$$holes, everyone has one and thinks everyone else’s stinks. It also underscores one other thing – this leftist indoctrination in our schools and colleges, plus the involvement among Millennials in the most violent, destructive, anti-American movements out there (Occupy Wall Street, Black Lives Matter), plus their absolute closed-mindedness to other facts or opinions to the point where they support rigid politically-correct speech codes and a “trigger warning” system, plus their role in shutting down any conservative voices on campus, plus their identifying as leftist Democrat and blindly voting same (thanks to such indoctrination and radicalization by college professors of the Ward Churchill / Bill Ayers / Van Jones variety), all have combined to make the 26th Amendment an absolute, abject failure, and why there should be a massive drive (as advocated by such writers as Glenn Harlan Reynolds) to raise the minimum voting age from 18 to at least 25 (some have even suggested upping it to 30).